This Underwater Art Stimulates Reef Growth #arttuesday « Adafruit Industries – Makers, hackers, artists, designers and engineers! 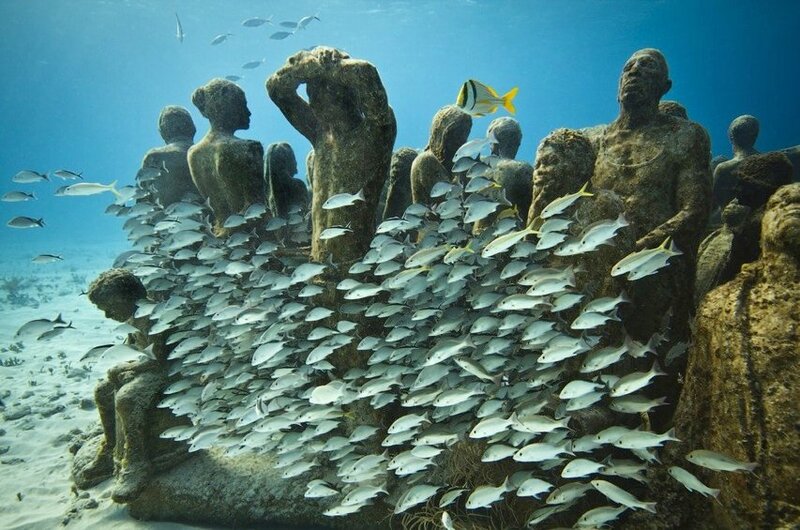 SmithsonianMag profiled the work of artist Jason deCaires Taylor, whose underwater sculptures help encourage the growth of coral reefs. Though shallow seas constitute only eight percent of the world’s oceans, they’re thought to contain the majority of marine life—life that is under constant threat from the disappearance of coral reefs, thriving ecosystems that house thousands of marine species (25 percent of all marine life, by some estimates). The decay of coral reef environments is caused in part by ocean acidification, which has increased 30 percent since the start of the Industrial Revolution. As the ocean absorbs the skyrocketing levels of human-made carbon emissions, almost 40 percent of coral reefs have disappeared within the past few decades—and scientists warn that nearly 80 percent could be gone by 2050.